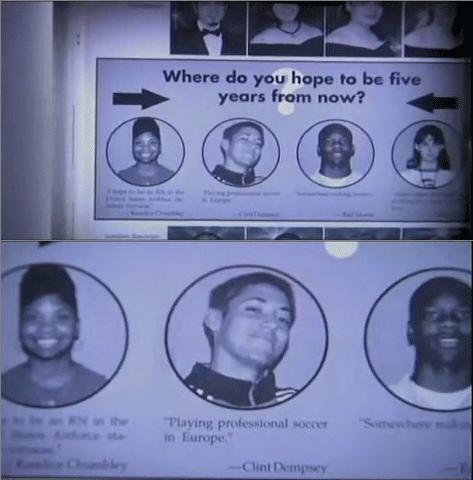 When Clint Dempsey was at school he had dreams.... and they came true! 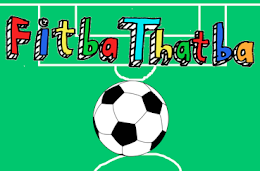 The Fulham forward was one of the top performers in the Premier League last season and as we can see here, that's exactly what he hoped would happen. He seems like a nice person so this is quite a nice little story and it's good that everything is finally working out for everyone in the world. I always have ambitions like 'getting into Uni', 'not working in an office' or even just 'I hope no-one finds those bodies I hid in the woods' and so far they've all worked out.